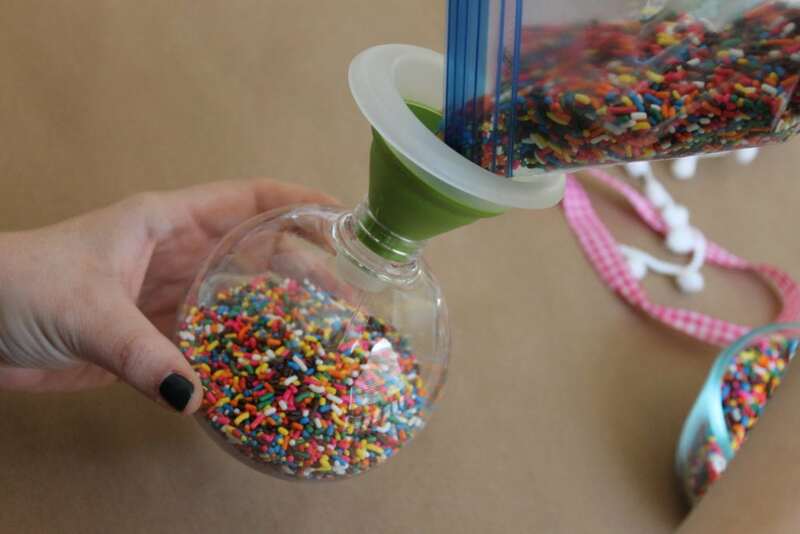 DIY Ornaments are all the craze this season! So much so that I even did a segment for local tv showing viewers how entertaining it can be to provide an *Ornament Bar* at their next holiday party! If you’re reading this with one eyebrow raised – Yes! This is a real thing! I hosted an Ornament Bar with my friends over at Bella Salon and Spa and we all such an incredible time! If you’re looking for festive party ideas – I highly recommend! 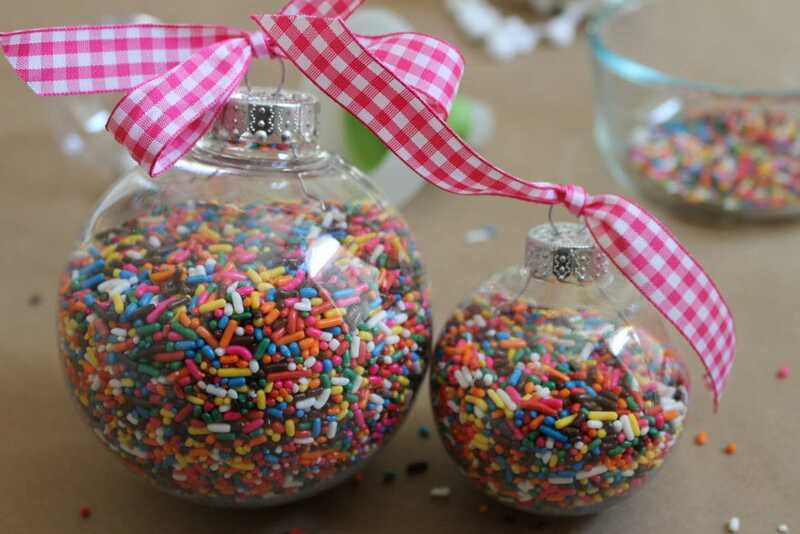 Here are two more DIY Ornament ideas you can add to your bar or try out on your own! 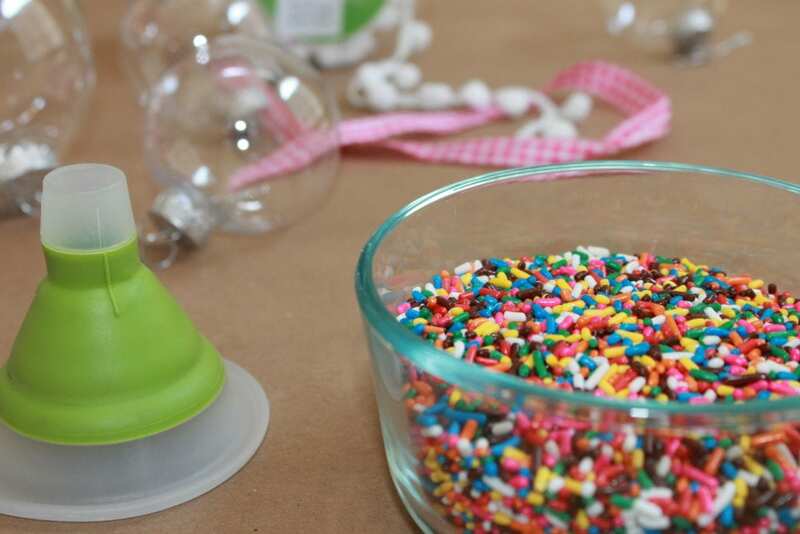 Sprinkles are not just for ice cream and cupcakes anymore! It’s time to take your ornament game to a sweeter level! 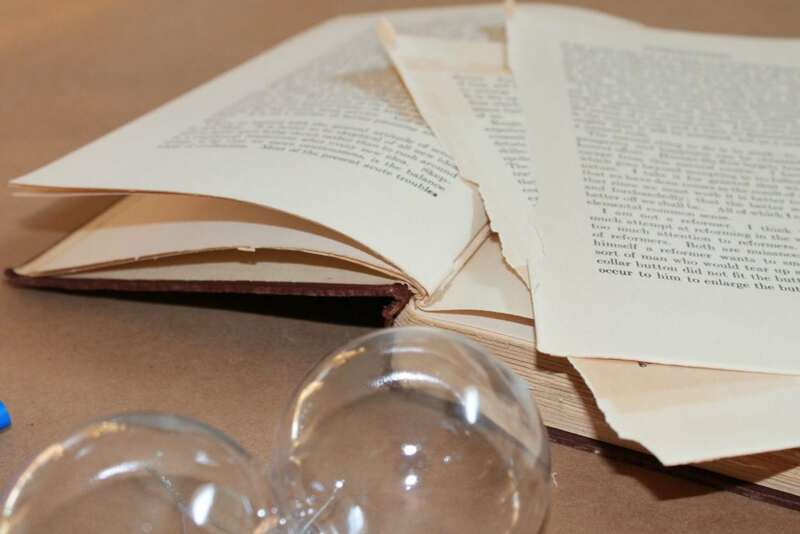 For a more classic/vintage look, grab an old book, a pencil, and of course your ornament! 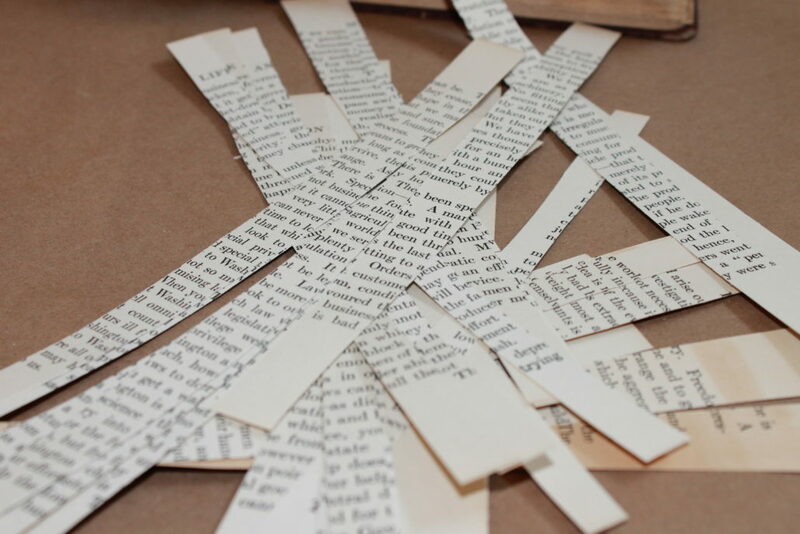 Cut or rip a few pages into strips. 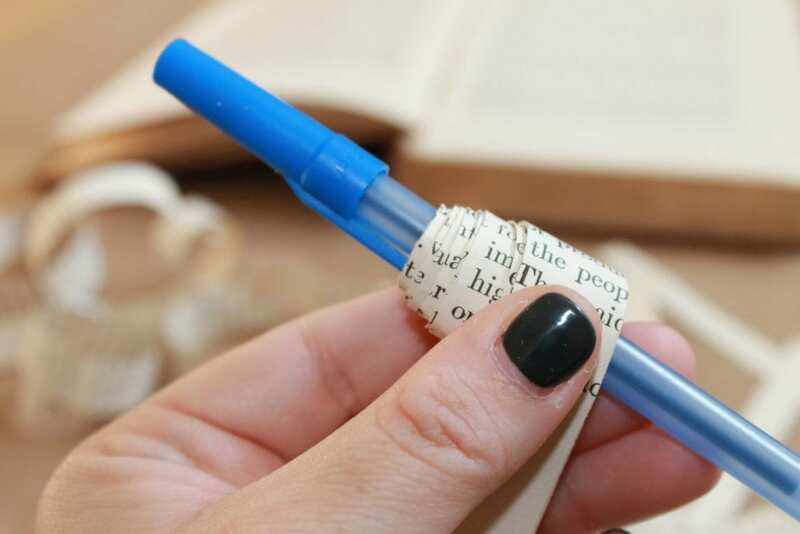 Wrap each strip tightly around a pen or pencil to give it some curl! 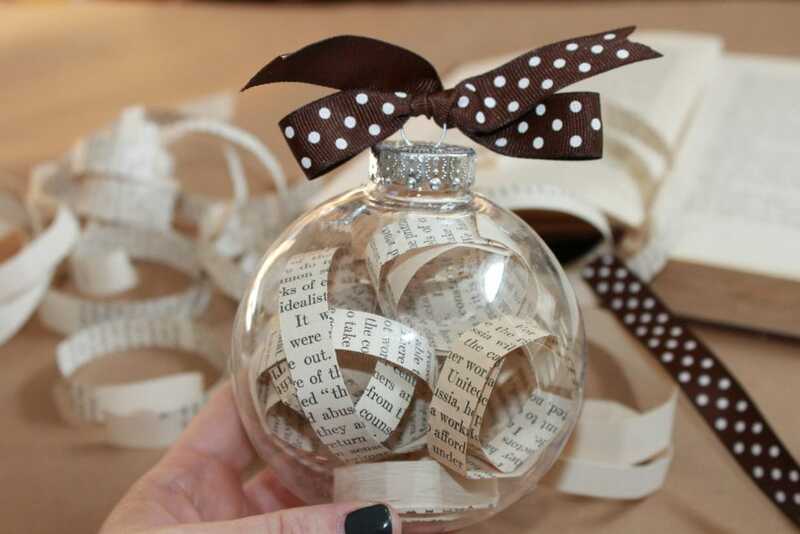 Insert the page strips into the opening in the ornament. Finish off with a little bow or ribbon and there you have it! Lovely! 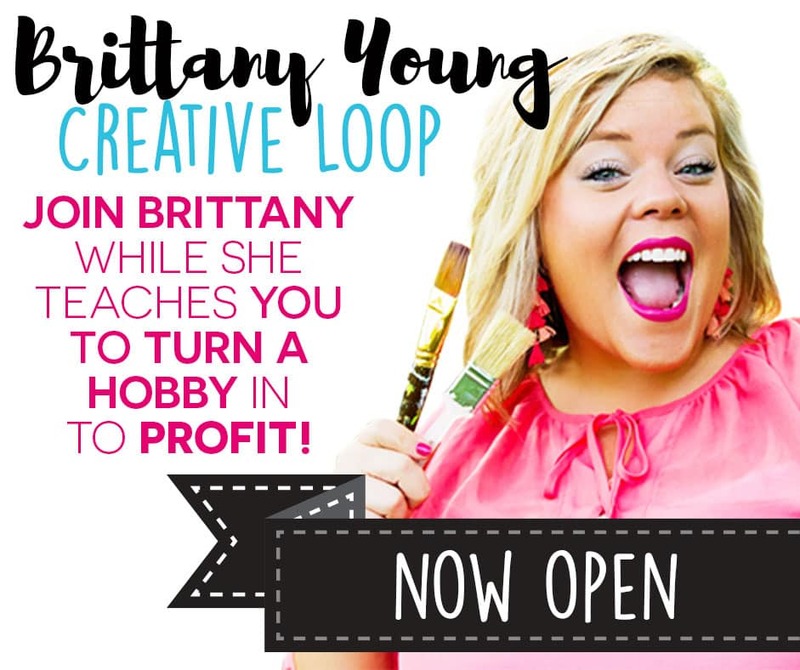 Looking for more crafty cute concepts? Check out my DIY Christmas Ornaments post! 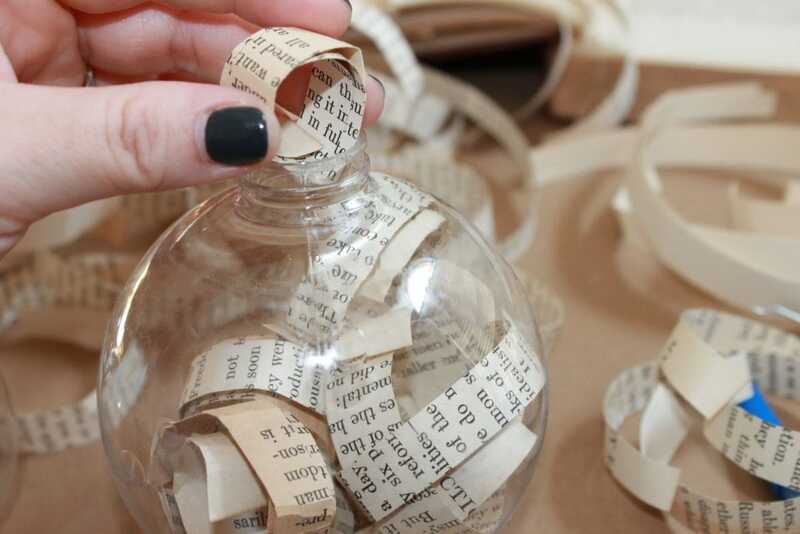 What other DIY ornament ideas can you come up with?! I would love to see! Share your pics on my FB ornament post here!